If you’ve been reading my blog for a while, you’ll know that I moved to London not quite a year ago. I’m finally starting to feel settled after two house moves in 5 months and remodeling one flat. We’ve been quite busy. I’m feeling much better now that spring has sprung and there are blooms everywhere. I’m really appreciating all the great parks and green spaces that abound in London. I am a short 15 minute walk from St. James’ Park which is built around a lake. It’s brimming with all kinds of birds, flowers, and trees. You can read about the Pelicans in the park here. The many large and small parks are the lungs of London and help to absorb some of the pollution. I hope to travel a bit more in the coming years. When we had a home in Nice and one in London, it seemed that we were always going back and forth between those two cities. Now I’m looking forward to adding a bit more variety to my travel plans. But having said that, I’ll be spending some time in Nice this summer. (I just can’t seem to get away from it!) Then later we’ll be doing some other European travel with friends. Speaking of travel… if you love travel and books, you might like Jo Frances Penn’s new site, Books and Travel. She shares articles about places she’s travelled and does podcast interviews with authors about the places that inspire their writing. She’s also known as Joanna Penn, author of The Creative Penn which I consider to be the ultimate site for independent authors. And, as if all that wasn’t enough, she’s also a thrillers and dark fantasy author going by the name J.F.Penn. Check out her sites. 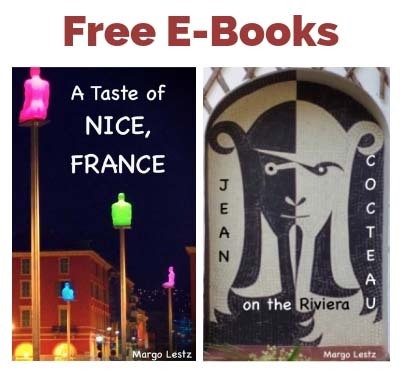 All About France linky: If you love reading articles about France, you’ll be happy to know that the All About France blog linky is back up and running. 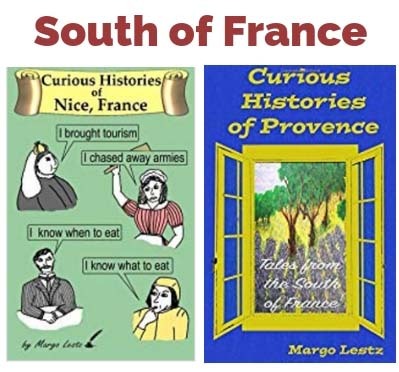 It’s sponsored by Phoebe from Lou Messugo who also runs a lovely gite in the south of France. 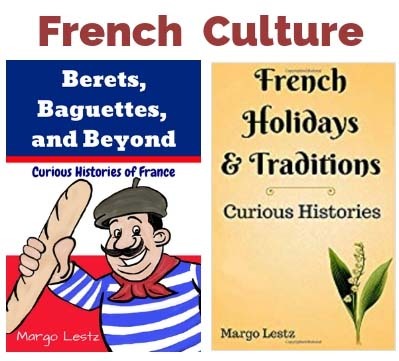 Latest Book: As you might already know, I published Berets, Baguettes, and Beyond: Curious Histories of France just before Christmas. If you’ve read and enjoyed this book (or, in fact, any of my books) a review on Amazon and/or Goodreads would be greatly appreciated. Reviews really help when people are considering buying a book. You can see all my books here. Children’s Book: I’m just getting ready to publish a short book of children’s fables. I wrote these little tales about 8 years ago but they’ve just been hanging around on my computer… mainly because I knew they would have to be illustrated before they could be published. I was inspired to finish them by my little 4-year-old great-niece, Lily, who is just finishing up 2 years of chemotherapy. I decided to finish the book and dedicate it to her for her courage and sweet smile. It should be finished by mid-May at the latest. … And I always like to leave you with a little bit of quirky history. So today, let’s have a look at the Westminster Bridge which is very near my home in London. It spans the River Thames between Big Ben and the London Eye. The bridge was built in 1862 and has a lovely, green, trefoil (three-lobed) decoration along the sides. The trefoil resembles a clover shape and is a gothic design found in a lot of architecture. But on the Westminster Bridge, it does a bit of shapeshifting. When the sun shines through this design at a certain angle, it projects a slightly different image along the pavement – which always makes people giggle. Previous Post: Greenwich Mean Time: What Time Is It, Anyway? Great catching up, Margo! They had a nice little news splash about Big Ben ringing again, I was thinking it would be nice to read your article about Big Ben, but I can’t remember where it is. Maybe it could find a place on the blog? Hi Julia, I hope Ben will be ringing again soon. I’m looking forward to hearing his bells again.